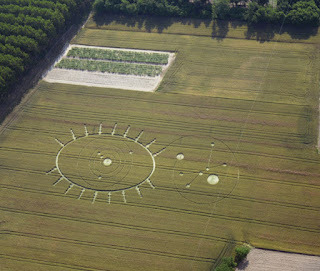 Yet another magnificent Italian Crop Circle this season with an astronomically significant message depicting some sort of a star map. We've seen some amazing formations the last few seasons in Italy which happen to be in the same Poirino region. Does seem like the creators of these crop circles in Italy are trying to point towards an approaching celestial alignment or something.